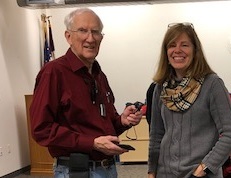 At our May 6 meeting, MontCo member Jim Saunders will speak about hair cell regeneration in the cochlea. . Dr. Saunders has spent years researching the topic and always creates stimulating presentations. CART and hearing loop provided. InnoCaption is a free mobile caption service for deaf and hard of hearing people or anyone with hearing loss that runs on mobile devices such as smartphones. Matheus Goncalves , InnoCaption Marketing Director, will describe the system in detail. There will be a brief business meeting. As always, visitors are welcome. 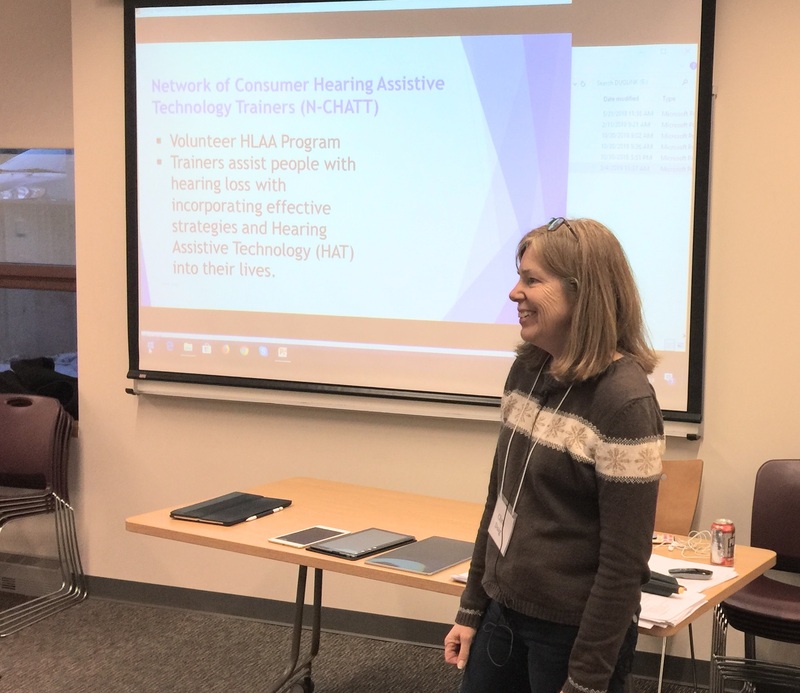 In spite of Winter Storm Scott, several dozen members and visitors heard MontCo member Chris Doig discuss smartphone and tablet apps of interest to the hearing loss community.. She is a graduate of the N-CHATT program run by the HLAA national office, and will explain the nature of that program. After a general presentation, members worked in small groups to explore examples of these software offerings, with varying degrees of success. Tunity depends on an internet connection, either WiFi or cellular data. In effect, it’s like using your phone to call the TV station and receiving the audio that way.. The question is “Who you gonna call?”, and that’s where the phone’s camera has to identify the station by pattern recognition. That is the “scan” step, which some have found troublesome. Apparently a TV that is always tuned to a certain channel can be provided with a scannable QR or bar code to identify it. The ultimate would be to have the audio piped into speech-to-text app, but will have to wait. I got Tunity to work without much difficulty, but couldn’t get the sound to sync anywhere close to correct. The word “app” is short for “application”, which in computerese means software that does something useful on your computer, like writing letters, displaying pictures, browsing the internet etc. For the most part, the term “app” has come to mean an “application” that runs on a tablet or smartphone, generally by themselves, without going through a browser, e.g. Safari, Firefox, Chrome, Edge, etc. Some applications have app versions, and some do not. The discussion included captionfish.com and aldlocator.com, which don’t have app versions, as far as I know, but can be run on a smartphone or tablet, through a browser. The “app” makes it simpler. There 22 in attendance, inducing a number of first-time visitors. Cheryl suggested a YouTube video that illustrates the Speech to Speech function. For our March 4 meeting, MontCo member Chris Doig will speak about new developments in remote microphone technology. Please join us. As always, visitors are welcome. There were 20 in attendance at the party, including a few visitors. Members contributed a variety of food and drink. HLAAMCC does not meet in January. 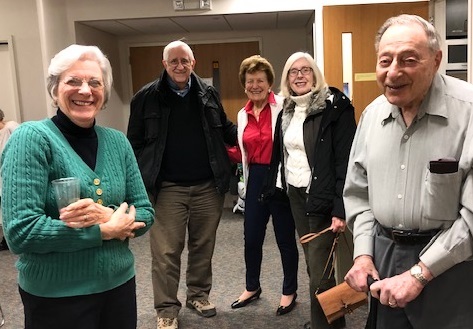 Our next meeting will be on February 4, 2019, at which time Jim Saunders will speak on research into hearing restoration. Further details here closer to that date. Michael Hahn, Regional Sales Manager for GN Resound will speak about advances in hearing aid technology. He will be discussing Resound products, and how to get the most out of them and their accompanying apps, including wireless technology. There will be a brief business meeting to approve a budget for the year and update the standing rules for the chapter. 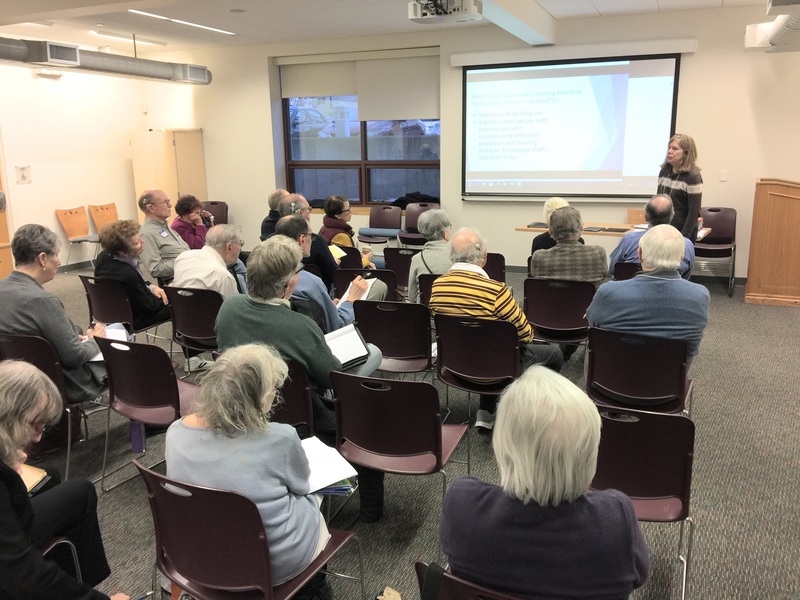 Our October 1 meeting was a discussion of the last year and plans for the coming year. 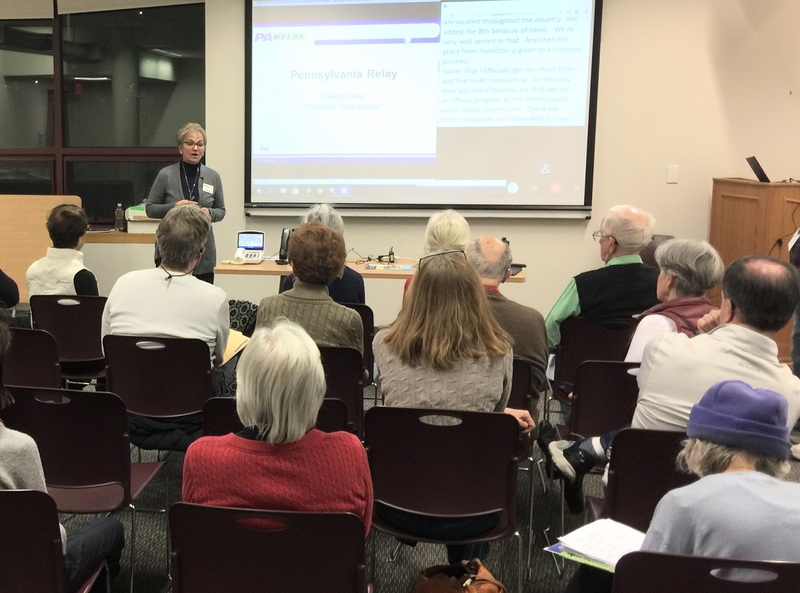 A wide range of topics was discussed by the 13 attendees. Hearing assistance at area theaters was a major topic. Many members will participate in the Walk4Hearing on October 21 at the Navy Yard. 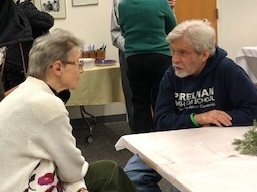 The HLAA-PA booth at the Farm Show in January 2019 always welcomes help, and some MontCo members have participated in recent years. For our November meeting, Michael Hahn, Regional Sales Manager for GN Resound will speak about advances in hearing aid technology. Further details here closer to the date. 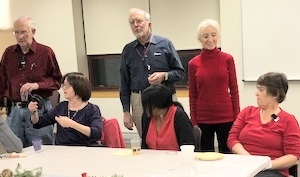 Our December 3 meeting will be the traditional holiday party.